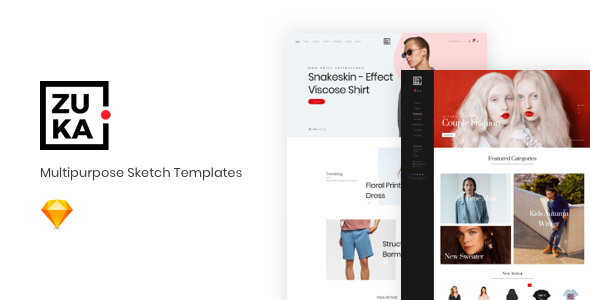 ZUKA Sketch Template is design which is ideal for E-Commerce. The design is very elegant and modern, and also very easy to customize. Multi-purpose e-commerce sketch template, great looking and simple in use. All pages, screens, popups and states are in one file. Template is divided on pages and almost every page is divided on art boards, which contain different states or versions of the page.